This is a photograph of the pink Bougainvilla plant. 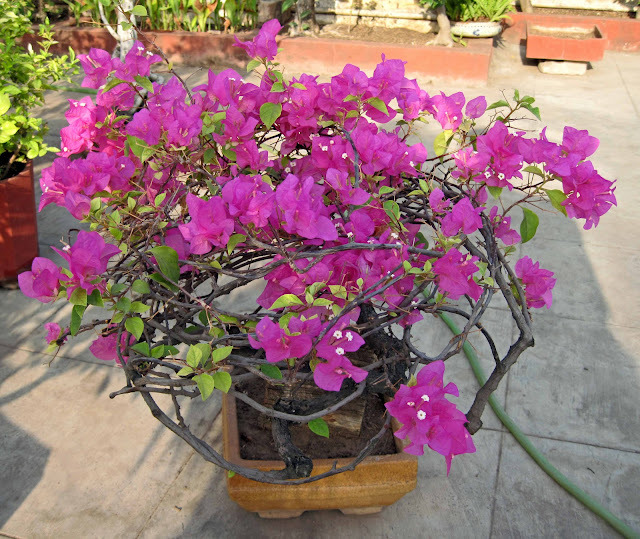 It is a bonsai, a miniature Bouganvillea. From my dad's garden. I have a much larger (3mb) pic with me of this very photo. Note the beautiful pink petals and the tiny white flowers in the midst of the pinkness.